This is the very first Jose Vigil guitar in Indonesia. Ordered by a client from Jakarta who also owned a fine Bogi Nugrahadi guitar. Jose Vigil was born in Asturias, northern Spain, in 1979. His father is a musician, and he has been surrounded by guitars and guitar players from a very early age. He started guitar studies at the age of fourteen, and although he played other instruments for some time, he has always come back to the guitar. After finishing his BA in Economics in 2002 he worked in various countries for some years, and during a trip to Granada in 2007 met a guitar teacher who owned a guitar made by Antonio Marin. 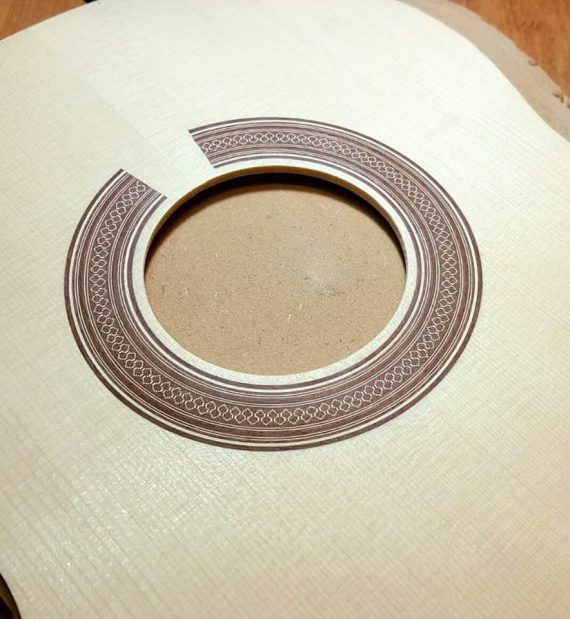 He had studied cabinet making for some time and always felt attracted to the traditional guitar making methods, so in that moment he realized he was in the best possible place to learn more about them, and decided to try to make his first guitar. He established a workshop in a small mountain village in the outskirts of Granada, and started visiting different workshops seeking guidance and advice. After three years working in that first workshop, he moved to the beautiful “Realejo” neighborhood in Granada, just a few metres away from Antonio Marin’s workshop, where he spent, and still spends, long hours watching the master work and receiving precious advice. He also had great help from other great guitar makers, like Rafael Moreno Rodríguez, Henner Haguenlocher and John Ray. Recently he also learn from great German Builder – Edmund Blochinger. 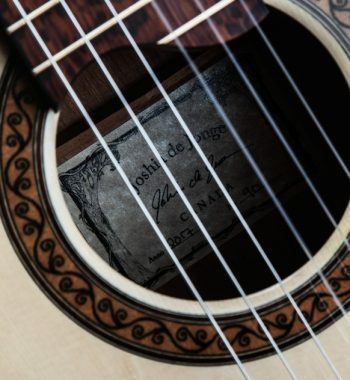 His guitars have evolved from a smaller torres plantilla and bracing to a slightly larger bouchet-marin style with stiffer cross grain reinforcement. Lightweight, responsive but also round and rich, and aesthetically understated. My construction system, is the traditional spanish heel. 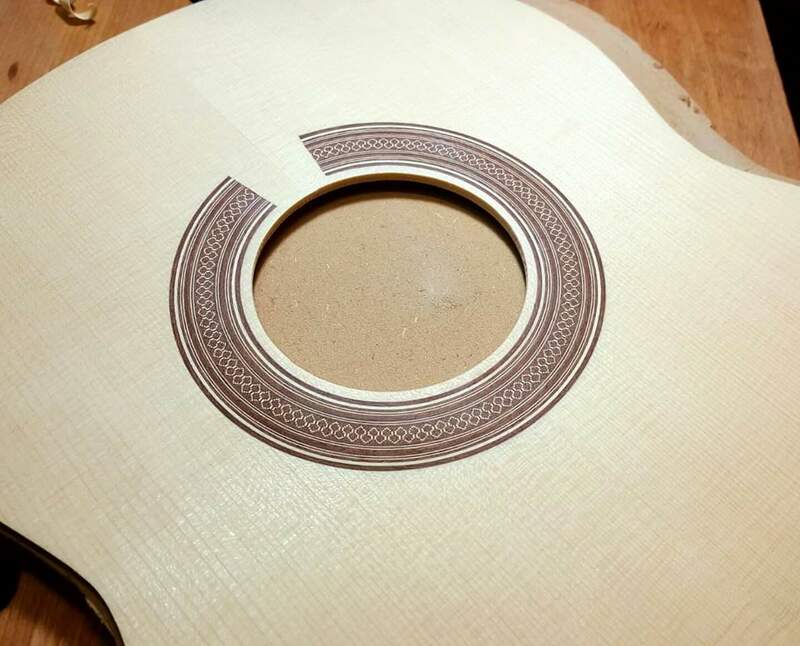 The neck is glued to the top, then the sides are atached to it through slots cut in the neck, and finally the back is glued to the sides and neck, fixing the neck-top angle. 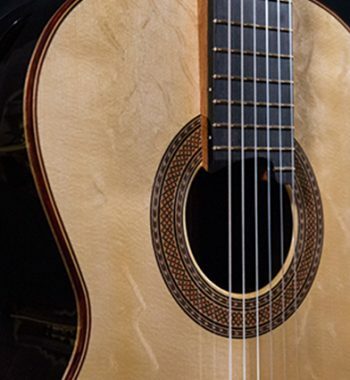 I have used two different bracing methods: for the first 10 guitars or so I used seven braces plus two closing ones, very much like Torres guitars, with thin tops. 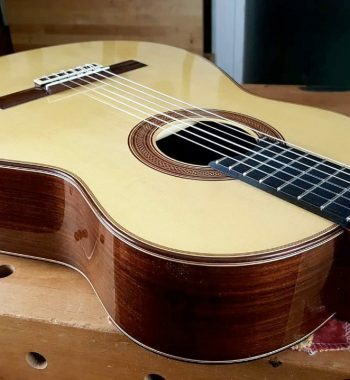 After moving to the center of Granada and learning the trade from Antonio Marín I started using five braces, without closing bars and a thin cross grain reinforcement under the bridge, and also slightly thicker tops. 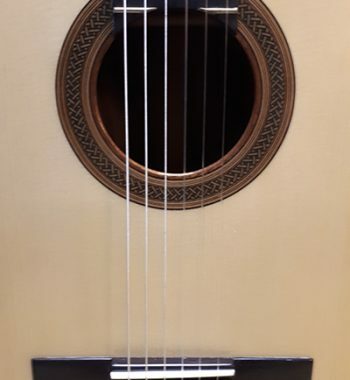 For the last two years I have also received great help from the german luthier Edmund Blochinger, mainly achieving a lighter bracing system, working with the different curves of the top, and selecting better material for the top. 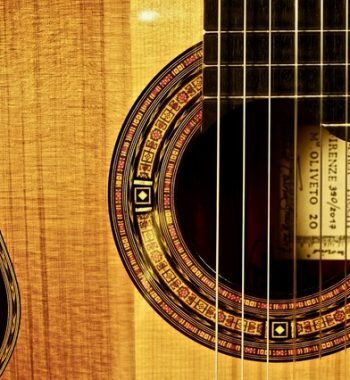 What I like to hear in my guitars is a thick, rich treble, with a wide tonal palette. Singing and lyrical. Chords that fill the room. Basses warm and deep. The guitar should be easy to play, the sound should come out effortlessly, with no struggle. This is his very first guitar in Indonesia. 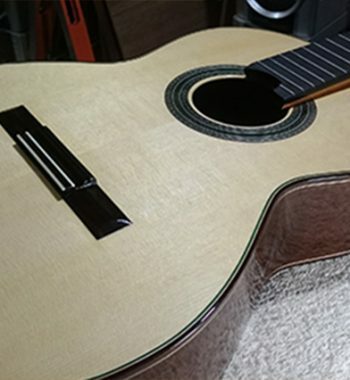 Ivan Guitar Studio is proud to introduce his work to Indonesian guitarists.